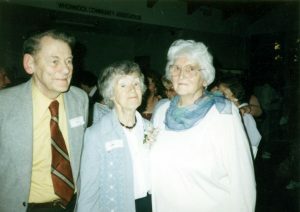 Brian and Isabel Byrnes standing with Mrs. Cummings [R] in the Whonnock Hall in the 1980’s. The Byrnes family moved to Whonnock when Brian was one year old. As an adult he owned Byrnes Garage on the Lougheed Highway at 272nd Street. He and his wife, Isabel, lived in a nearby home on River Road. They shared an abiding interest in local archaeology, becoming members of the Archaeological Society of B.C. They participated in many explorations and digs, becoming experts on locations of earlier native settlements and tools. Margaret Isabel Byrnes (nee Ferguson) was born in 1913 to parents Hector and Ruth Ferguson (nee Rolley) in Port Haney. Lougheed Highway in Whonnock circa 1939. L to R: Baines’ Texaco Service, Baines’ confectionary and pool room, Byrnes’s Garage, Baines Home. Federal Truck and Brian Byrnes standing by. Growing up near the mouth of Kanaka Creek, she collected arrowheads along the banks of the creek, developing a keen eye to distinguish worked stone from pebbles, and a lifelong fascination with the lives of First Nations tool makers. Isabel became a primary school teacher, working at South Lillooet School in 1931 and then Whonnock School until her marriage to Brian Byrnes in 1939, when she resigned. At that time, it was the common practice for married women. The wartime teacher shortage saw her called back into service in 1943, and she continued to teach until her retirement in 1965. 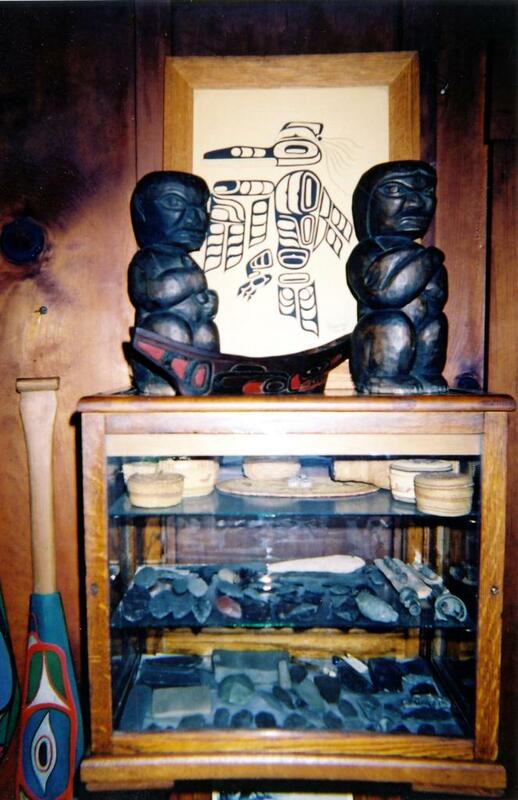 A living room display cabinet on the North wall in the Byrnes’ home. Shows carvings, canoe baskets and points. This was taken before any items were removed. The Byrnes family left us a unique legacy. After Isabel died in 1997, Brian began to consider how his lifelong commitment to the history and well-being of Whonnock could be best served. The Community Heritage Commission (CHC) presented Brian with a Heritage Achievement Award in 2001. The Byrnes house was given a CHC plaque in 1999. Brian died in September of 2003. 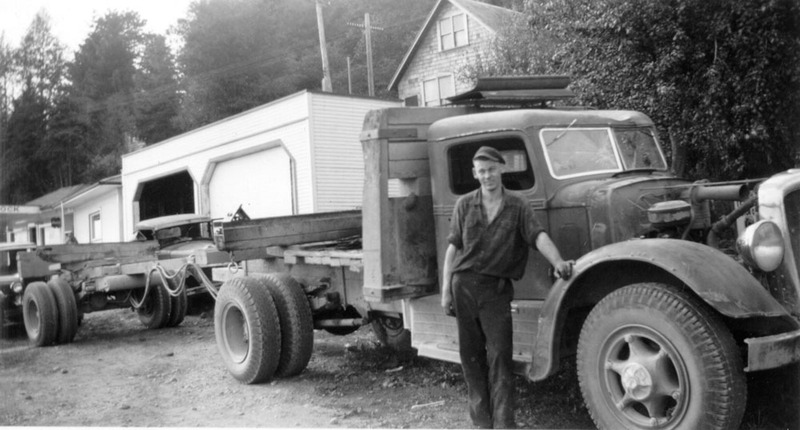 His will left his house on River Road, the similar house next door, and the beautifully wooded property behind both houses to the Whonnock Community Association. In an equally generous gift, he gave the unique and valuable collection of First Nations artifacts that he and Isabel had collected, or had been given over the years, to the Maple Ridge Museum. For further information on Brian and Isabel, see Whonnock Notes #4 and #11.